Y’all… I must have heard some variation on this from my Grandma every other day of my life until I was 18 and I left for college. It is just a quaint way of saying being a good and kind person is important and if you treat people with kindness and love from the heart, that is more important than being pretty in looks. Being pretty is how you treat others, not how you look. Seriously… drilled.into.my.head. If my Grandma had sewed, I am sure she would have made a damn sampler and hung it over my head. You know the kicker of the whole thing though…. as I mentioned a couple of days ago I went to Cincy and had time with Lili…. and I TOTALLY TOLD HER THIS. Full circle folks. 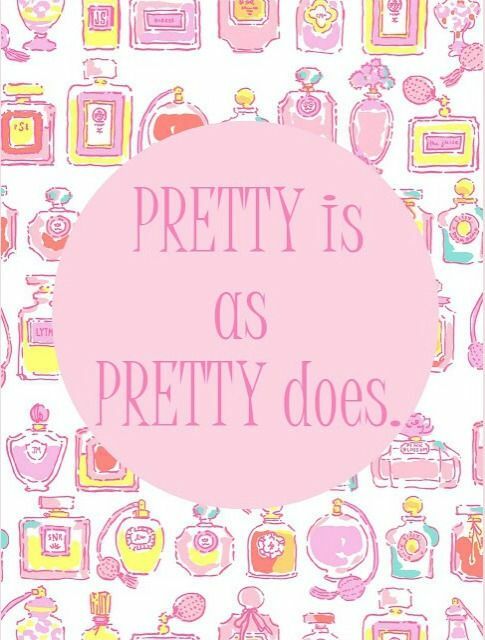 Life is weird and words to live by: Pretty is as pretty does.